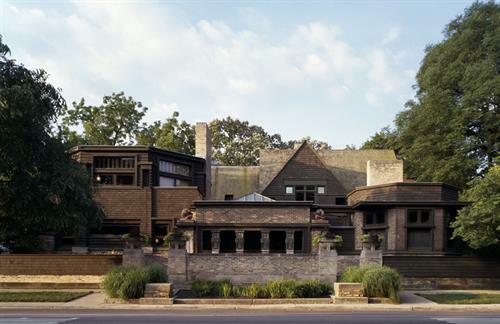 Frank Lloyd Wright Trust | Museums | Attractions | Chicago-Harlem | Chamber Members - Oak Park-River Forest Chamber of Commerce, IL ? Your gateway to Frank Lloyd Wright's Chicago. 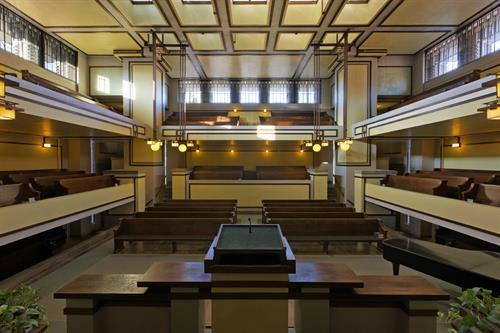 Public tours and educational programs at major Wright-designed structures, including his Home and Studio (1889/1898), in Oak Park, IL; The Rookery Light Court (1905) in the Chicago Loop; Unity Temple (1905-08) in Oak Park; the Frederick Robie House (1908-10) in Chicago's Hyde Park neighborhood; and Emil Bach House (1915) in Chicago's Rogers Park neighborhood.